The following pages cover some of the Failures regarding the Astarra / Trio fraud by Australia's Regulators, namely The Australian Security and Investments Commission and the Australian Prudential Regulatory Authority. 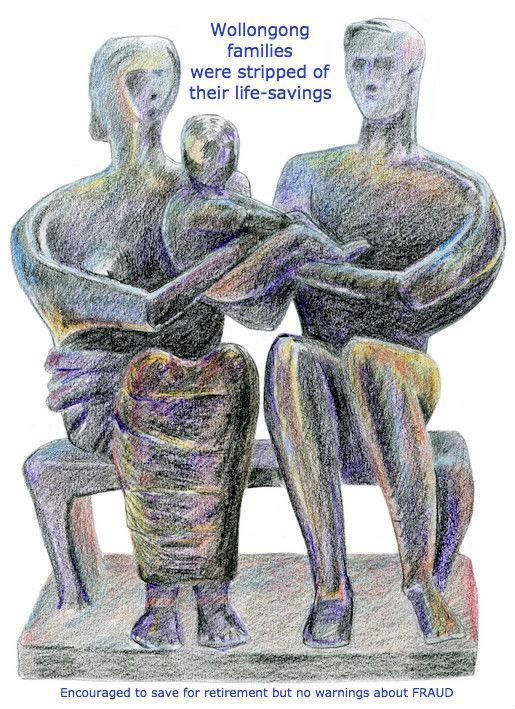 • there was a good understanding of some of the basics of superannuation, with 97% of people surveyed knowing that their employers were required to make superannuation contributions on their behalf, while 91% understood they can make additional superannuation contributions. • eighty-nine per cent (89%) appreciating the importance of PIN security and the ramifications of breaching it. The 2003 ANZ Survey of 81 pages does not mention 'fraud'. The 2005 ANZ Survey of 356 pages mentions 'fraud' three times, in the context of credit card fraud. The 2011 ANZ Survey of 153 pages mentions 'fraud' once in the context of credit card fraud. Note: The warning about the importance of PIN security and the ramifications of breaching it is aimed at the customer, yet the customer, yet the customer is not warned that the banks / The Australian Securities and Investments Commission (ASIC) and the Australian Prudential Regulatory Authority (APRA) have no role in preventing criminals from handling your savings. Once ASIC let the alleged criminals into the financial market, the fraudsters don't need your pin number to take your savings from government’s mandated superannuation funds. Remember they are the funds government encouraged citizens to invest their savings to put money aside for the retirement years. The government’s encouragement for citizens to save raises another point, the failure to mention that in the financial market environment of 2004 to 2009, ASIC and APRA had no way of knowing, finding or preventing large-scale organised fraud of a manage investment scheme. 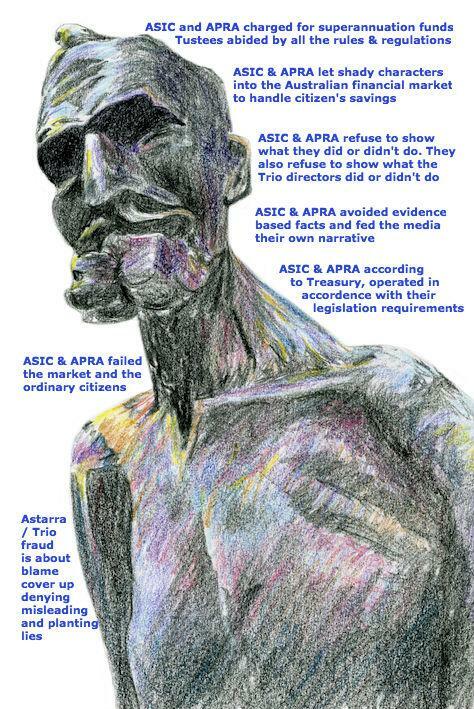 ASIC and APRA aware large organised crime can occur, had no such warnings in their publicly available literature. ASIC mentioned cold-calling fraud in a 2002 publication. APRA sat in the meetings where the decision NOT to have a safety net for Self Managed Super Funds was decided. APRA never informed the market. APRA never informed the self-managed trustees that they had no safety net. The Australian Tax Office that took over APRA’s role of regulating SMSFs did not inform trustees that they had no safety net if large-scale fraud occurs. APRA also sat in the meetings with the Trio directors and found them to be a “bunch of incompetence” and APRA never informed the investors, the very investors APRA knew had no safety net. The Australian Securities and Investments Commission (ASIC) are not required to look out for and prevent fraudulent characters from entering the financial market. ASIC require that anyone carrying out fraudulent activities to self-report to ASIC. If a fraudster does not come forward to say they are stealing money then it is not ASIC's problem. ASIC in a way help the fraudsters by keeping all the information about them confidential under s127 of the ASIC Act. ASIC build a wall between you and what the fraudsters are able to get away with. 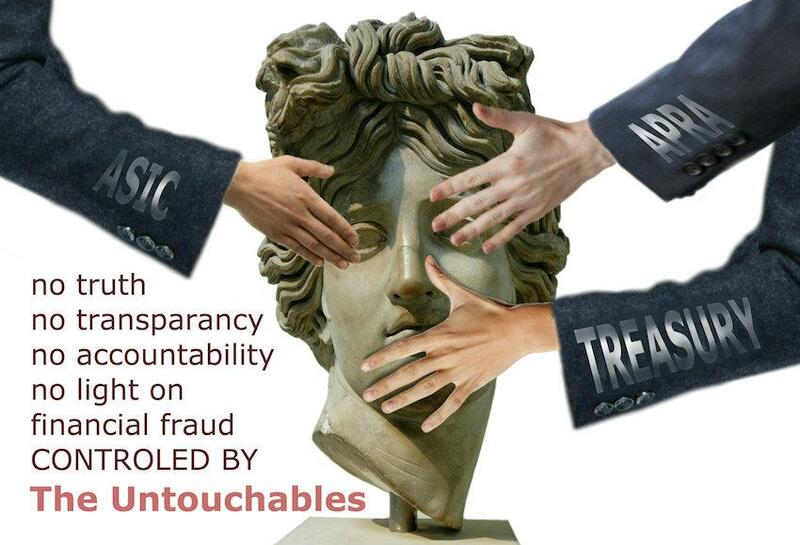 The lack of transparency facilitates the fraud. It is admitted by Mr Richard that he represented himself to investors as being the controller of Trio, WGI and AAM, in circumstances where Mr Richard was aware that these representations were false. The representation was false because at all times after July 2004, Mr Richard knew that Mr Jack Flader, a US citizen based in Hong Kong, was the ultimate controller of these entities and the business of the Trio Capital Group. Self Managed Super Funds (SMSF) became the target of discredit and blame for being victims of a crime. Many entire articles in the media devoted full attention to the SMSFs when reporting about the Astarra / Trio fraud. While blaming the self-managed trustees for their own loss because they exercised "choice" they represented only 4.75% of all the investors that were affected by the fraud. Had the articles embraced the 100% of the victims, the insidious nature of the fraud would have become apparent. 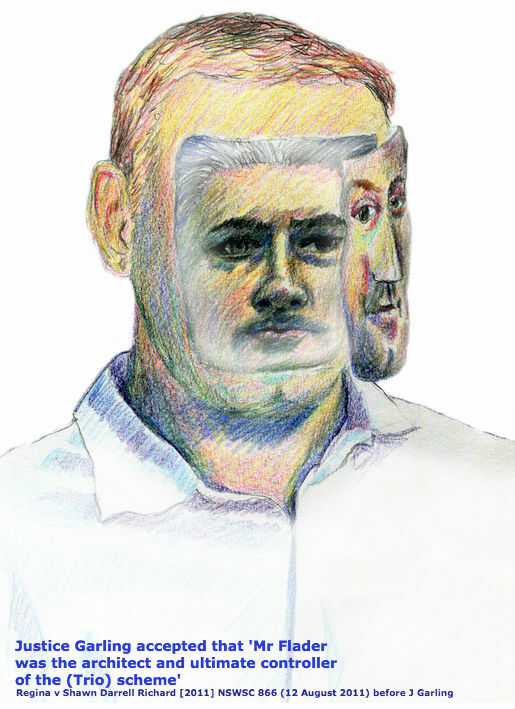 The deception of the fraud deceived the Australian Securities and Investments Commission, the Australian Prudential Regulatory Authority, the custodians Australia and New Zealand Banking Group (ANZ) and the National Australia Bank (NAB), the Australian Tax Office, the Australian Federal Police, the Australian Crimes Commission, the Australian Transaction Reports and Analysis Centre including auditors KPMG and star rating firms such as Morningstar and VanMac Group. ASIC refuse to release information surrounding the Astarra / Trio fraud citing s127 of the ASIC Act. APRA refuses to release information surrounding the Astarra / Trio fraud citing s56 of the APRA Act. Treasury claim 5 official investigations looked into the issues surrounding the Trio collapse. Only 1 investigation inquired into the collapse of the Trio Capital scheme and its terms of reference showed no interest with solving the crime and its findings were already decided before the Inquiry started. The inquiry was not about justice for the victims of the crime or why the incident occurred. The findings appear to uphold the security appearance of the financial system. ASIC regard the disappearance of $192.5 million from Astarra / Trio as not fraud but rather the self-managed trustees lost their savings because their financial advisors earned commissions. ASIC do not acknowledge Trio as a transnational crime that was carried out by an international crime gang. If ASIC did recognise the organised basis of the crime by an organised crime (with a background of previous fraud) then ASIC would have to admit their own failure to have missed all the early warning signs that this fraud was about to proceed. ASIC need to acknowledge that their failure in carrying out background checks, or checking the international regulatory warnings posted out by United States, Europe, New Zealand and Hong Kong, helped the success of the fraud. 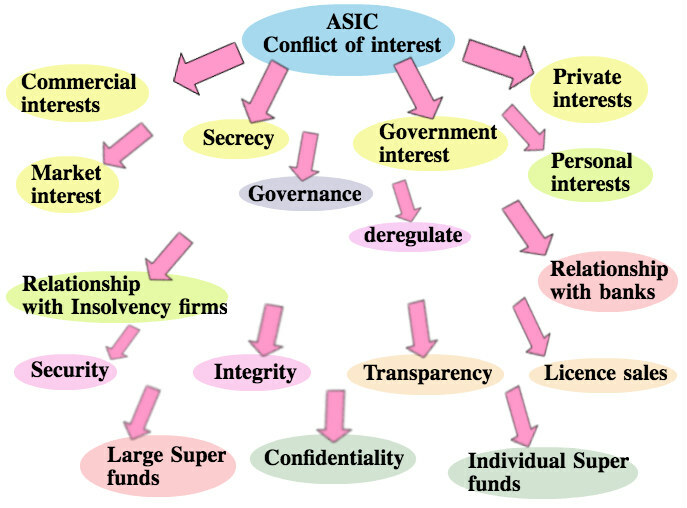 ASIC also held on its own data base information about some of the characters who operated Trio and with the minimal amount of attention by the regulator, should have set off alarm bells within ASIC. ASIC appear blameless, ASIC claim they are the educator not the enforcer, ASIC claim it was the self-manage trustees fault they lost their savings, ASIC claim they did their job according to requirements - but the Turnbull Government (April20,2016) announced a $127.2 million funding boost for ASIC, along with the appointment of a special prosecutor to investigate financial crime. AppearsASIC have all basis covered.